We took Max the bigger Dog De Bordeaux photographs when he was just a puppy and look at him now just as georgeous as ever. 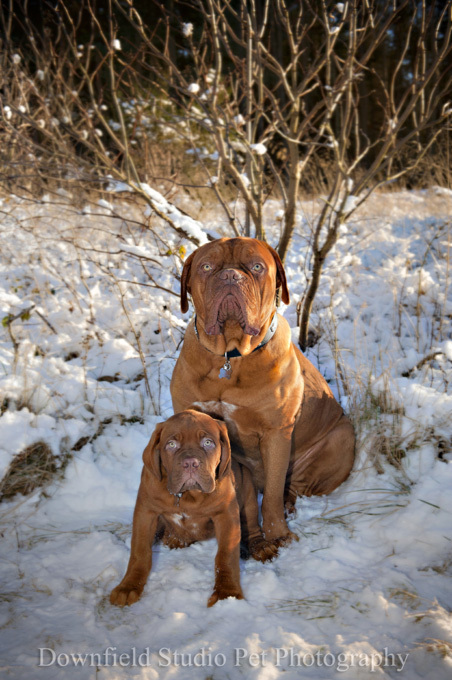 He now has a wee mate called Hooch they are so good together playing in the snow and Max is so gentle with Hooch. This is why we enjoy pet photography so much you get to have some fun with other peoples pooches and we like to capture their wee characters in each shot. A treat here and there goes a long way to get that perfect look we just want in our dog photographs. If the dog is a little timid then our indoor studio is probably better as there is no distractions to put them off. 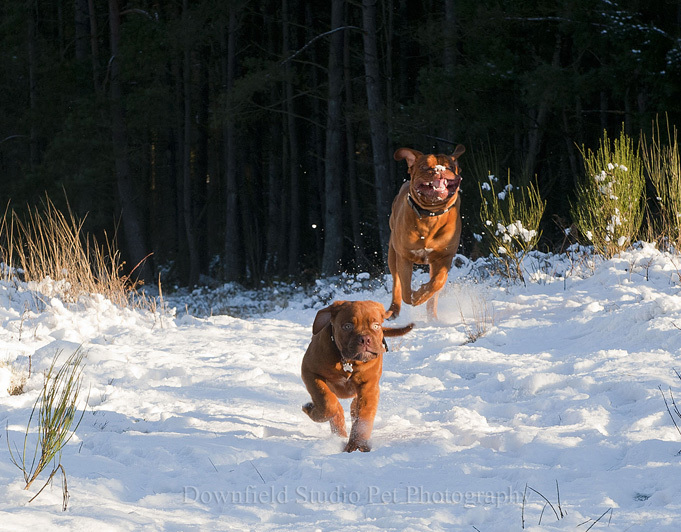 Visit our Downfield Studio Pet Photography facebook page for more.